What Can Japan's Education System Teach The U.S. About Equity? It's no secret that the socioeconomic background of students in the United States plays a big role in the quality of education they receive. Too often students from poor families attend underfunded schools staffed by the least experienced teachers. This trend has led to inequity throughout the education system and countless reform efforts. 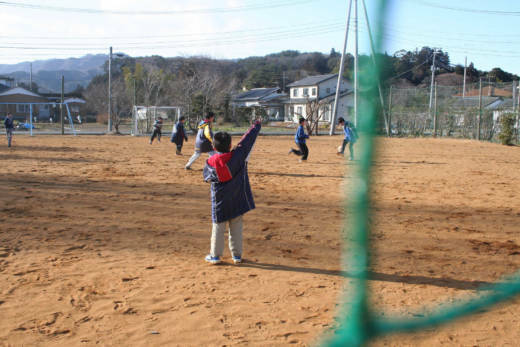 The Organization for Economic Co-operation and Development (OECD), a group of 35 wealthy countries, has found that Japan does a better job than most peer countries at providing equitable education to its students, regardless of economic background. That isn't by accident. The Japanese have multiple structures in place to help funnel extra resources and high quality teachers to the places that need them the most. In an article for The Atlantic about the Japanese system Alana Semuels explains the system isn't perfect, but there is a focus on pedagogy and equity from the top down. There are a number of reasons why Japan excels in providing educational opportunities. One of them is how it assigns teachers to schools. Teachers in Japan are hired not by individual schools, but by prefectures, which are roughly analogous to states. Their school assignments within the prefecture change every three years or so in the beginning of their careers, and then not quite as often later on in their careers. This means that the prefectural government can make sure the strongest teachers are assigned to the students and schools that need them the most. “There’s a lot going on to redirect the better teachers, and more precious resources, towards the more disadvantaged students,” Schleicher said. It also means that teachers can learn from different environments. Young teachers are exposed to a series of different talented peers and learn from their methods. That’s a big contrast to some place like the United States, said Akihiko Takahashi, a onetime teacher in Japan and now an associate professor of elementary math at DePaul University’s College of Education. “Here in the U.S., the good teachers go to the good schools and stay there the whole time,” he told me.